Loyal readers of the monthly “Universe” essays in Natural History magazine have long recognized Neil deGrasse Tyson’s talent for guiding them through the mysteries of the cosmos with stunning clarity and almost childlike enthusiasm. Here, Tyson compiles his favorite essays across a myriad of cosmic topics. The title essay introduces readers to the physics of black holes by explaining the gory details of what would happen to your body if you fell into one. “Holy Wars” examines the needless friction between science and religion in the context of historical conflicts. “The Search for Life in the Universe” explores astral life from the frontiers of astrobiology. And “Hollywood Nights” assails the movie industry’s feeble efforts to get its night skies right. If there’s one thing that Neil deGrasse Tyson knows how to do, it is make astrophysics interesting. If there are two things, they are how to make astrophysics interesting and how to make it comprehensible to the layperson. 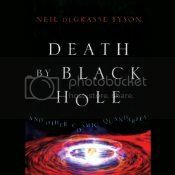 Each of Tyson’s essays in Death by Black Hole is well-reasoned, well-organized, and accessible to those with basic science skills. In one particularly interesting piece, Tyson details a number of experiments one can conduct with no more than a stick and some string (and, you know, some equations), all of which have significant things to teach us about the structure of the universe as a whole. He does get a bit nit picky in the essay “Hollywood Nights,” as he catalogs the liberties that the film industry has taken with the universe, often at the same time he admits that no movie is likely to get EVERYTHING right. Overall, however, Death by Black Hole is full of fascinating information. Dion Graham does a wonderful job narrating Death by Black Hole. In particular, he captures Tyson’s obvious passion for and excitement about this topic, without coming across corny. His excitement is so genuine, in fact, that one suspects that he may be an astrophysics junkie as well and if not then he is a truly superb narrator. 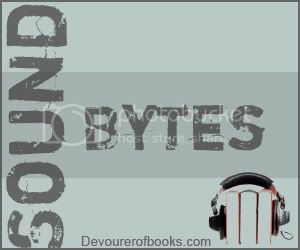 The delineations from one essay to the next were clear, which is essential in an audio collection like this (see: my one criticism of Is Everyone Hanging Out Without Me?). That being said, the audio was not idea, in my experience, for close study of the subject, what with limited ability to go back and review, or take time and really allow what Tyson is saying to sink in. Luckily, his style in these pieces is more loosely informative than scholarly, so listening to get a general overview of his subjects worked well for me. A fascinating essay collection, and one whose narrator ably matches the passion of its author. Recommended. Glad you liked this one. I love NDT! I love this stuff. Tyson is one of those rare people that can make physics make sense. I’ll have to get a copy of this one. I love Neil deGrasse Tyson. I really need to read this. Thanks for the great review, Jen! I love authors who can take a difficult subject and make it easy.